"In Does Every Woman Have an Eating Disorder?, you will discover why your dieting attempts always end in failure; learn how to think critically about media, advertising, and everyday conversations we have about food and weight; gain information about the relationship between health and weight; and find tips for developing a healthy relationship with exercise. Most importantly, you'll learn to stop obsessing about food and weight and discover how to eat in peace." "Jenni had been in an abusive relationship with Ed for far too long. He controlled Jenni’s life, distorted her self-image, and tried to physically harm her throughout their long affair. Then, in therapy, Jenni learned to treat her eating disorder as a relationship, not a condition. By thinking of her eating disorder as a unique personality separate from her own, Jenni was able to break up with Ed once and for all." "Each day we face a barrage of images and messages from society and the media telling us who, what, and how we should be. We are led to believe that if we could only look perfect and lead perfect lives, we'd no longer feel inadequate. In her ten guideposts, Brown engages our minds, hearts, and spirits as she explores how we can cultivate the courage, compassion, and connection to wake up in the morning and think, "No matter what gets done and how much is left undone, I am enough," and to go to bed at night thinking, "Yes, I am sometimes afraid, but I am also brave. And, yes, I am imperfect and vulnerable, but that doesn't change the truth that I am worthy of love and belonging." 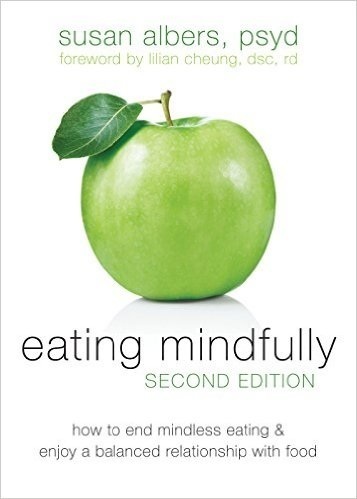 "Dr. Albers begins with a practical overview of mindfulness, the latest research into its effectiveness, and the five principle benefits of mindful eating. You'll learn the seven skills of the mindful eater, then experience eight easy-to-follow guided exercises to help you integrate these skills into your daily life." 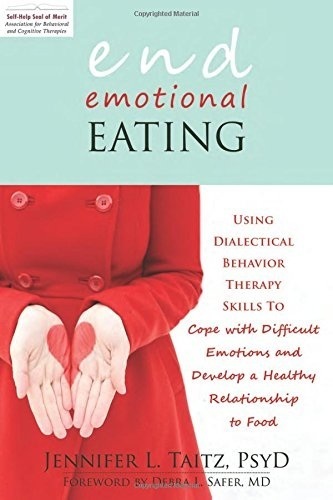 "If you are ready to experience emotions without consuming them or being consumed by them, the mindfulness, acceptance, and dialectical behavior therapy (DBT) skills in End Emotional Eating can help. This book does not focus on what or how to eat—rather, these scientifically supported skills will teach you how to manage emotions and urges gracefully, live in the present moment, learn from your feelings, and cope with distress skillfully." "Every day we experience the uncertainty, risks, and emotional exposure that define what it means to be vulnerable or to dare greatly. 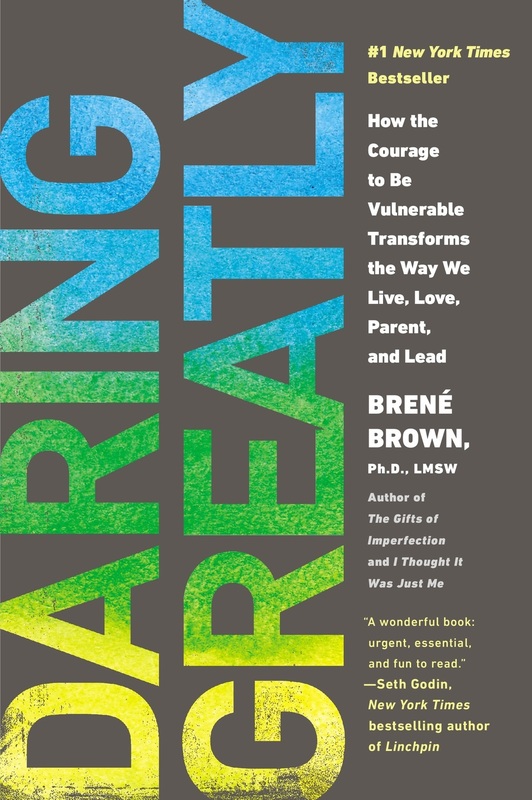 Brown explains how vulnerability is both the core of difficult emotions like fear, grief, and disappointment, and the birthplace of love, belonging, joy, empathy, innovation, and creativity. She writes: “When we shut ourselves off from vulnerability, we distance ourselves from the experiences that bring purpose and meaning to our lives.” When we step back and examine our lives, we will find that nothing is as uncomfortable, dangerous, and hurtful as standing on the outside of our lives looking in and wondering what it would be like if we had the courage to step into the arena—whether it’s a new relationship, an important meeting, the creative process, or a difficult family conversation.​"
"What would it be like to really savor your food? Instead of grabbing a quick snack on your way out the door or eating just to calm down at the end of a stressful day, isn’t it about time you let yourself truly appreciate a satisfying, nourishing meal? The breakthrough approaches in Eating Mindfully, by Susan Albers, use mindfulness-based psychological practices to take charge of cravings so they can eat when they are hungry and stop when they feel full." 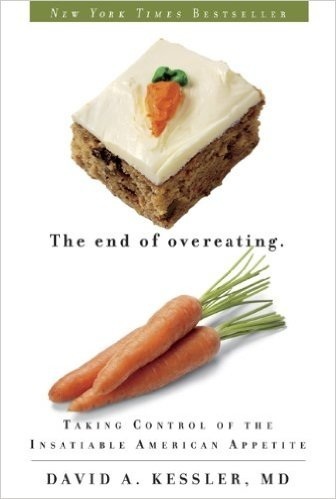 "Drawn from the latest brain science as well as interviews with top physicians and food industry insiders, The End of Overeating exposes the food industry's aggressive marketing tactics and reveals shocking facts about how we lost control over food--and what we can do to get it back​. For the millions of people struggling with their weight as well as those of us who simply can't seem to eat our favorite foods in moderation, Dr. Kessler's cutting-edge investigation offers valuable insights and practical answers for America's largest-ever public health crisis. There has never been a more thorough, compelling, or in-depth analysis of why we eat the way we do." "Did you know you can beat stress, lift your mood, fight memory loss, sharpen your intellect, and function better than ever simply by elevating your heart rate and breaking a sweat? The evidence is incontrovertible: aerobic exercise physically remodels our brains for peak performance. 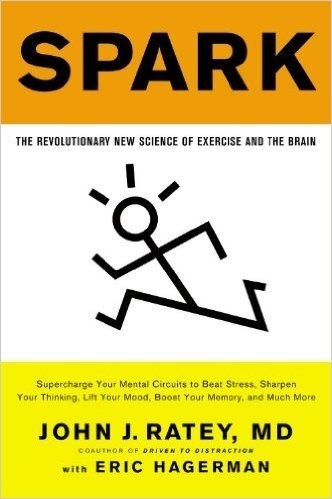 SPARK is the first book to explore comprehensively the connection between exercise and the brain. It will change forever the way you think about your morning run."